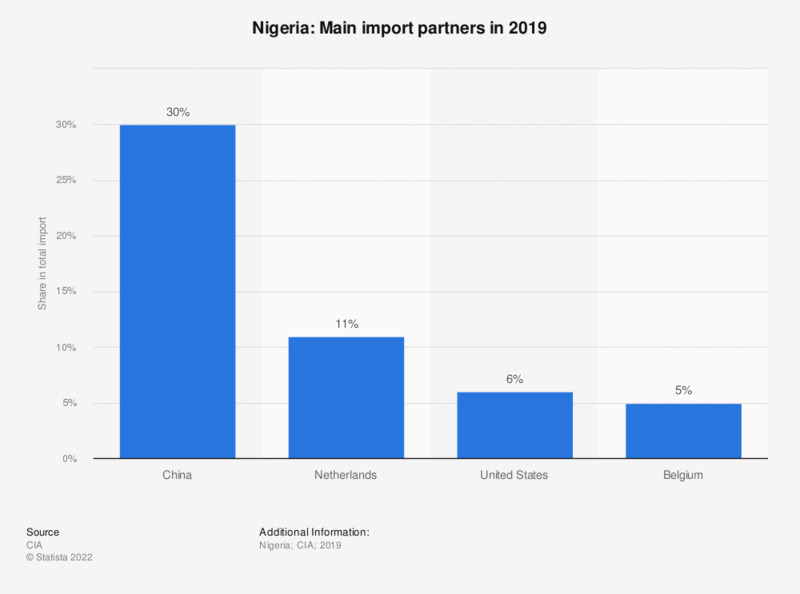 This statistic shows the most important import partners for Nigeria in 2017. In 2017, the most important import partner for Nigeria was China with a share of 21.1 percent in all imports. Which country produces most of your favorite movies? Who carried out the work?